Community fundraisers generate millions of dollars for Children’s every year. Big or small, events help make a difference in the life of a child. Whether your own child was cared for at Children’s or you just want to support a worthy cause, you may be looking for ways to help Children’s. And we want to help you help us. You can create your own fundraising webpage, plan your own fundraising event or help out with an established fundraiser. If sports are your thing, be sure to check out our wide variety of sports-related fundraising events. Every dollar counts: See how your generous donation benefits Georgia’s kids. Are you on Facebook? Great news—you don’t have to leave the site to make a difference. Now you can help Children’s Healthcare of Atlanta by using Facebook’s fundraiser tool. Consider asking your friends to donate in honor someone you know, celebrate your birthday or just because. Any amount makes a difference. One easy way to raise funds is to create your own “Click for Kids” fundraising webpage and invite your friends to donate online. Help fundraise for Children’s in your neighborhood by joining one of our Friends groups. More than 35 groups support Children’s through volunteer work, fundraising events and special service projects. Friends groups are typically formed by people who have a common bond, live in the same neighborhood, or have met through schools, clubs or churches. Contact Ashley Dollar or call 404-758-7316 for more information. The Children’s Healthcare of Atlanta Sports Network hosts a number of sports-related events annually. We partner with teams and organizations including the University of Georgia, Georgia Tech, Braves, Hawks, Falcons, PGA Tour, Chick-fil-A Peach Bowl, professional athletes and more. Volunteers can help fundraise through these events and even engage in opportunities to help onsite. Whether you are interested in specific or multiple events, sponsorship opportunities offer community exposure and entertainment options for companies of all sizes. Contact Dave Winokur or call 404-785-7373 for more information. Our E4C volunteers help raise funds on behalf of the hospital by promoting and selling pro-am spots, hospitality, and company group ticket packages to the PGA Tour Champions Mitsubishi Electric Classic tournament by reaching out to their network of business contacts in the community. Companies use these ticket packages, golf spots, and hospitality tickets to entertain their clients, customers and employees while benefiting Children’s. Volunteers are also able to earn incentives and prizes through this fundraising campaign. Contact Dave Winokur or call 404-785-7373 if you are interested in participating. Our UGA-GT Challenge volunteers help raise funds by promoting and selling ticket packages to their business contacts for the annual Kauffman Tire Spring Classic baseball game between Georgia and Georgia Tech. Companies use these ticket packages to entertain clients, customers, and employees while benefiting Children’s. Volunteers are also able to earn incentives and prizes through this fundraising campaign. In 2017, this game is moving from Turner Field to the new SunTrust Park. Help Children’s pack the new stadium for this milestone. 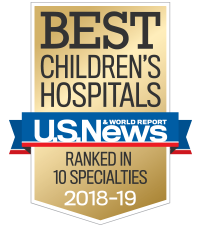 For more than 30 years, Children’s Miracle Network Hospitals (CMN) has raised funds nationally for more than 170 children’s hospitals, including Children’s Healthcare of Atlanta. Fundraising efforts in Atlanta and north Georgia directly benefit Children’s, reflecting the pledge to keep 100 percent of donations in the local community. Children’s Miracle Network Hospitals conduct thousands of corporate campaigns and special events each year, including some of the events described below. Contact Abby Wexler or call 404-785-7974 for more information about opportunities through Children’s Miracle Network Hospitals. The CMN Hospitals team at Children’s and its many community partners offer patient family opportunities throughout the year. Whether it’s attending an IHOP Miracle Saturday, speaking at a radiothon, or learning a few new moves at a Dance Marathon, the team offers events for patient families to attend and/or share their Children’s journey. Businesses can make deeper connections with customers and employees through a cause marketing campaign that offers both positive brand association as well as fundraising support for Children’s. To explore opportunities for a custom point-of-sale campaign, coin collection canister, or other cause marketing initiatives, contact Sharon Robinson or call 404-785-7362. Dance Marathon is a nationwide event involving more than 450 high schools and colleges who raise money for Children's Miracle Network Hospitals. The fundraising year culminates with a one day celebration event that involves dancing, entertainment, games and stories from several of Children’s patient families that bring the community closer to their goal of raising money for the kids. Interested in starting a Dance Marathon? Contact Lydia George or call 404-785-7363.